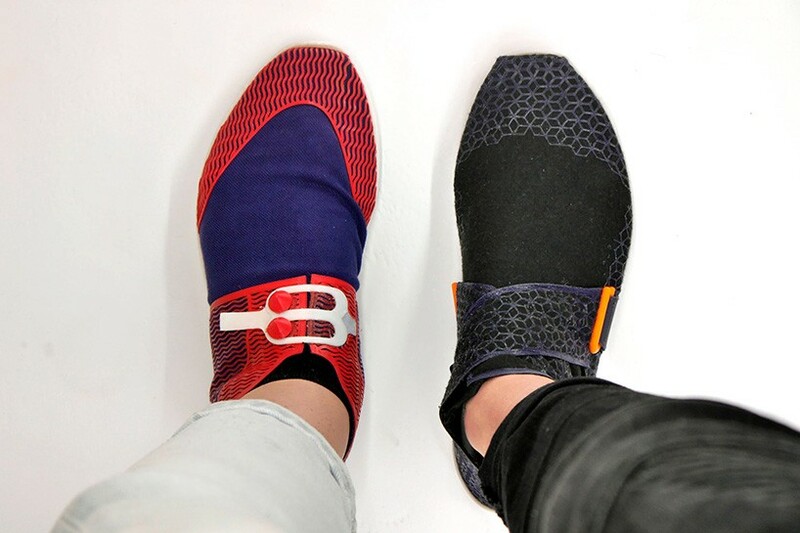 The sneaker world has long been dominated by big brands, so, Polish design students Barbara Motylińska and Zuza Gronwicz set out to propose an alternative, more sustainable model for the production and distribution of footwear. With around 20 billion pairs of shoes produced each year, and 300 million pairs thrown out annually, the duo set out to create a sustainable production chain that wouldn’t do quite so much damage to our planet, using 3D-printing techniques. The duo created a sneaker prototype from biodegradable materials alongwith a customizing wizard. With their ‘shoetopia’ project, Motylińska and Gronwicz created an design for a biodegradable sneaker, that can be modified via an app. The personalized design is then transformed into a print file, which can be sent directly to a local 3D printing center or private printer owner. 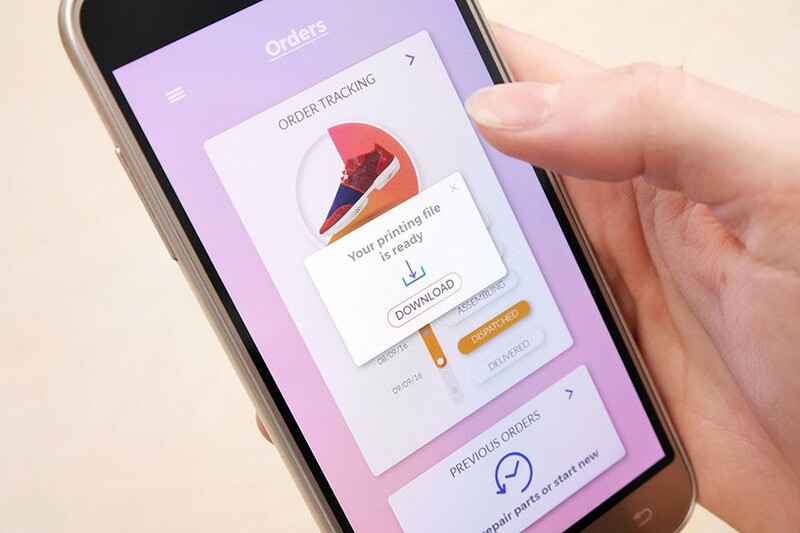 the concept reinvents the wheel by reducing waste due to over production, and puts the customer in the driving seat by letting them request exactly the design they want. 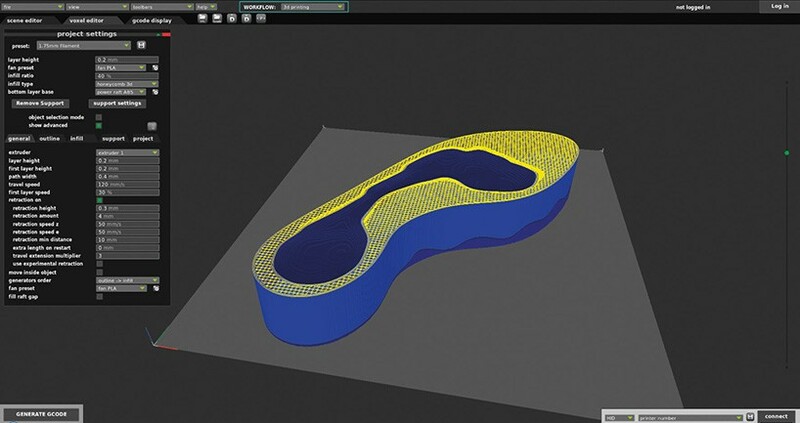 The sustainable shoe can be 3D printed at any workshop. 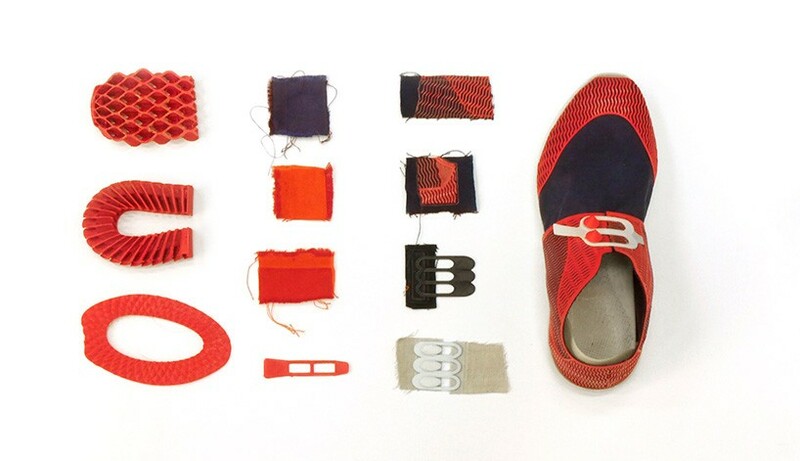 The prototype shoe is constructed from flexible, biodegradable filament and natural textiles. In the search for a way of strengthening the textile upper, the duo cracked how to directly 3D print the filament onto the material. 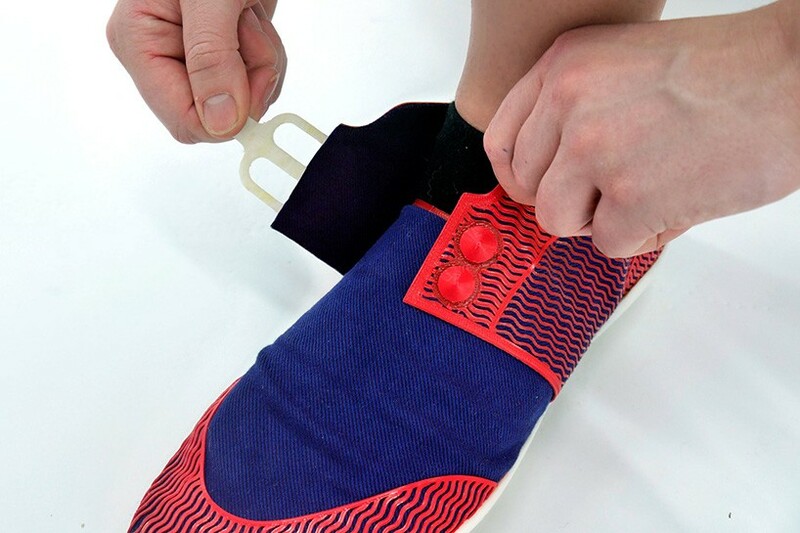 In turn, the technique meant the whole shoe design can be constructed without even using glue, making it both more environmentally friendly and durable. 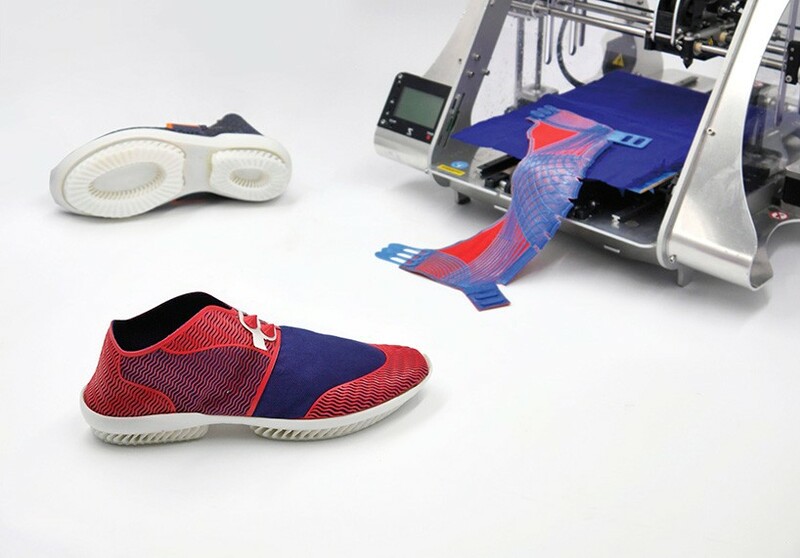 The prototype design is transferred into a preset algorithm, meaning that anyone can design and customize it without having special shoemaking skills. The online design wizard even comes with a foot measuring application, meaning the shoes are printed to a perfect fit. 3D-printing onto a textile base. The algorithm can be easily manipulated for different designs. This entry was posted in Brands and tagged 3D Printing, biodegradable shoes, biodegradable sneakers, designboom, Poland, shoetopia. Patagonia is expanding its Worn Wear program to raise awareness about how to repair and donate previously owned garments. Patagonia announced that it will launch a standalone Worn Wear site that will provide detailed information about its program (which backs a “Repair is Radical” mantra) and incentivize consumers to donate old garments with discounts on new purchases. The company, which has long been hailed for its commitment to sustainable practices, started Worn Wear in 2013 in an effort to increase longevity of its products by offering repair services at select stores. 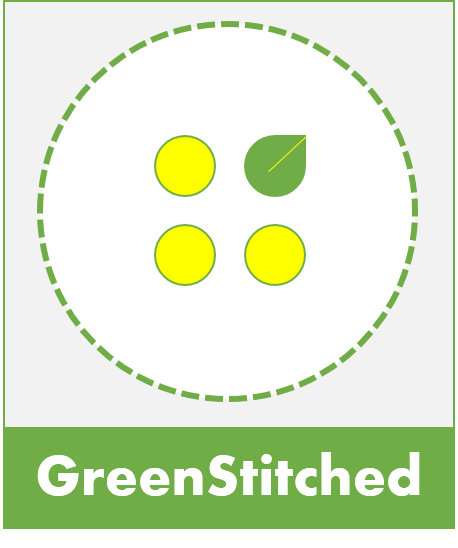 It also has a repair center in Reno, Nevada that conducts an average 30,000 repairs a year, and a traveling truck that tours around the country conducting free fixes of broken zippers, rips and lost buttons. The site is slated to launch in mid to late April, in partnership with Yerdle — a “recommerce” organization — which will allow Patagonia to sell pre-used goods online. This year, Patagonia went on its first college tour, visiting 21 universities to offer repair services and giving speeches at select schools about the process. Among them was the Fashion Institute of Technology, which the truck visited last week. Natalie Grillon, founder of Project Just, an informational platform focused on sustainable fashion and beauty, said Patagonia continues to be an example among brands of launching successful sustainability efforts. This entry was posted in Brands and tagged Fashion Institute of Technology, Glossy, Patagonia, ProjectJust, Repair is Radical, WornWear.